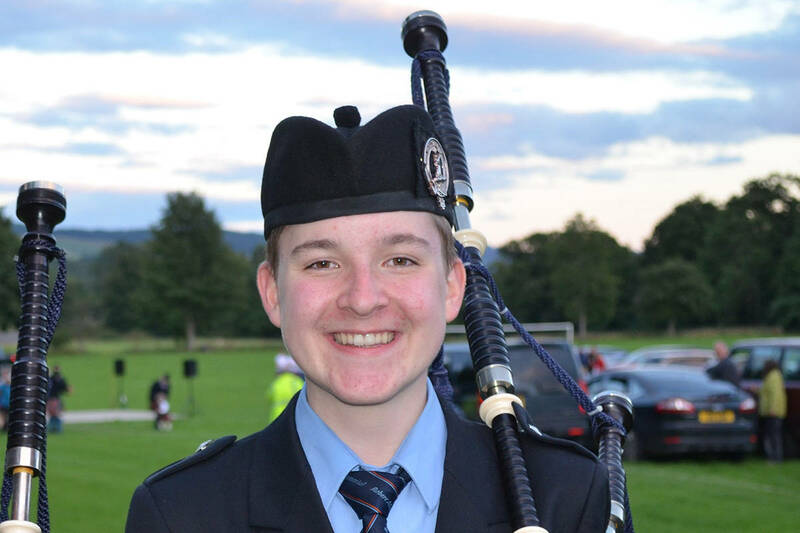 Alistair Bevan, 15, won the Nicol-Brown Invitational bagpipe competition. Submitted photo. Abbotsford’s Alistair Bevan was invited to a prestigious North American bagpipe competition earlier this month in New York state and came home a champion. The 15-year-old Yale Secondary student was the youngest competitor at the 35th Nicol-Brown Invitational. He won two of the three events and came in second in the third – making him the overall winner. Bevan earned his spot in the contest after ranking first among B.C. pipers. It was his first time competing in the Nicol-Brown but not the first time the Bevan name was in the top spot. Alistair’s father, Alan, won the same competition in 1991. The whole Bevan family, including Alistair’s mother Bonnie and younger brother Callum, play the bagpipes. They even play together in Simon Fraser University’s Robert Malcolm Memorial Band, where Alan is the pipe major (band leader). Alan said piping brings his whole family together. “It feels really great, actually,” he said. In addition to receiving a hand-engraved silver belt buckle (matching the one his father won 25 years ago), a pipe bag, pipe chanter and his name on a trophy, Bevan earned a spot in, and air fare to, an international competition in London, England in November 2018. Between now and then, he plans to practise, practise, practise. His goal for that competition is simple. Bevan said he’s also improving his tuning and expanding his repertoire to hopefully turn professional soon.